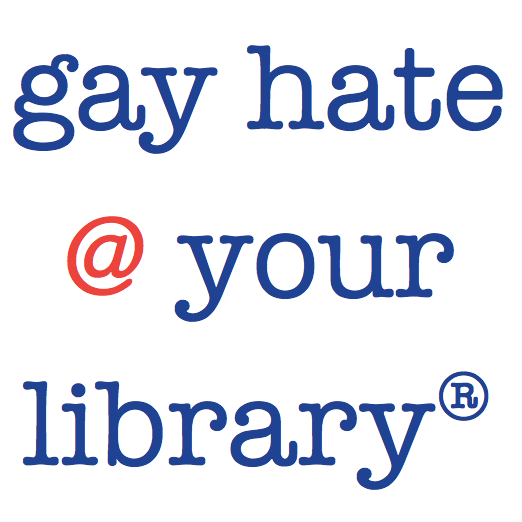 Librarians were ordered to destroy documents revealing both homophobia at the American Library Association and crime in public libraries, especially the viewing of child p0rnography. The evidence is an email to libraries throughout Illinois by Deborah Caldwell-Stone, Esq., the Deputy Director of the ALA's Office for Intellectual Freedom. This order to destroy documents is out and open incitement to violate various open government laws, and to cover up ALA's "exposure." And almost everyone complied, but not all. That this incitement was done knowingly and purposefully is evident from the lawyer's use of her private email address instead of her ALA email address, similar to the actions of former EPA Administrator Lisa Jackson, a.k.a. "Richard Windsor." And all to hide her Office's homophobia and ALA's ordering librarians to destroy evidence of crime in libraries and calls not to record such evidence in the first place. This is documented in a frightened librarian's email I published at "Brave Librarian Speaks Out as ALA Facilitates CHILD Prn." She revealed, among other shocking things, "Blondie said that Orland was focusing only on you and ignoring your friend because he is gay and it gets messy to attack a gay guy. .... I also remember that a jab was made at you ... that you should not be hanging out all day with a gay guy with your kids anyway." To me, those are homophobic statements, particularly the latter. ALA's Deborah Caldwell-Stone, Esq., then rehired this homophobic trainer for more of the same training. (The trainer dropped the gig when this was exposed.) That's one more thing that makes ALA homophobic—no one who isn't homophobic knowingly hires homophobic trainers who teach homophobia—but ALA did. 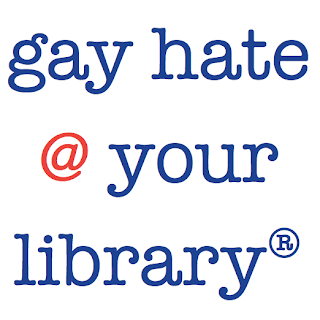 Of possible interest, the trainer went on to sue me twice in federal court, losing both times, and a settlement offer was made that the case would be dropped if I censored this publication revealing ALA's homophobia: "Gay Hate @ Your Library." So go read what ALA's censorship police tried to censor about themselves via its homophobic proxy. "Subject: URGENT -­ must delete all documents related to 17 Dec crisis communications workshop"
"Date: Friday, April 4, 2014 at 4:46:24 PM Central Daylight Time"
#ALA's @OIF is using a personal email address to TRY to protect @ALALibrary from being involved in this public data destruction scheme. "In case you are not yet aware there is a situation where we have exposure related to the 17 Dec crisis communications workshop …"
"…facilitated by RAILS. We are under scrutiny and FOIA requests went out this morning fishing for documents and video." "Remove these from your servers today and destroy hard copies. This is an attempt by two individuals to obtain privileged information…"
"…from the event. It does not appear this is much more than a hunch on the part of requesters but we should not retain any materials …"
"…from the event as a precaution. As this was a candid and private function not meant for the public it would be best if we purge …"
"…any records any of us have related to the event. Taking parts of discussion out of context would be harmful so we cannot allow…"
"…anything from 17 Dec to be produced in response to FOIA." "TAKING PARTS OF DISCUSSION OUT OF CONTEXT WOULD BE HARMFUL SO WE CANNOT ALLOW ANYTHING FROM 17 DEC TO BE PRODUCED IN RESPONSE TO FOIA"
"Cannot allow"? The American Library Association @ALALibrary's @OIF has the power to tell local #libraries not to comply with #FOIA? "The OPPL has already been served with a FOIA and it appears the requesters are working down a list and serving the rest of us." "These are the same two individuals who have been causing problems since October. They will make hay out of anything they obtain." "Do not facilitate this in any way." In other words, do not comply with #FOIA, and indeed @OrlandPkLibrary has spent ~$500K on this! "There is still time to get ahead of this if we act today. Deny, delete, defend. – dcs"
That's @ALALibrary's @OIF's ATTORNEY telling public officials on public business to destroy public documents. This concludes my tweeting @ALALibrary's @OIF ordering local #libraries to destroy public data and deny #opengov #FOIA #CivilRights. The above is based in part on work I originally published in 2015 as "Deny, Delete, Defend; American Library Association Orders Public Librarians To Destroy Public Documents To Preclude Public Disclosure of its 'Exposure'" on Storify which has since announced it is closing and removing all content. Hence the need to record this information here. And ALA has yet to suffer any consequences for its own homophobia, its hiding its own homophobia, and calling for library crimes to be hidden from the public and for whistleblowers to be attacked verbally and financially, which actually happened to me. The above is all my opinion, as usual, but backed up with evidence anyone can see.